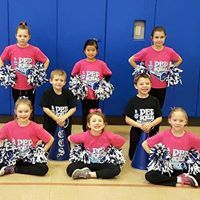 Community Christian School offers extra curricular programs and activities to give students the opportunity to explore and discover their many God-given talents beyond the classroom. Athletics have been a strong part of the CCS experience for many families and athletes for more than 30 years. 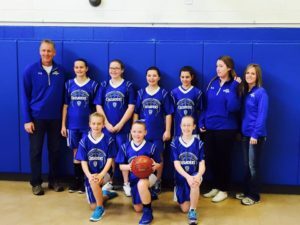 Today, the program is largely centered around organized basketball and cheerleading from November-February, where 4th-8th grade athletes compete against area parochial schools representing similar age and competitive talent. 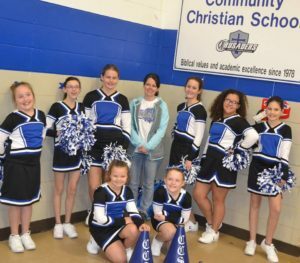 CCS Athletics offers the opportunity to develop Christian friendships, physical fitness, leadership characteristics, the discipline of practice, sportsmanship through successes and failures, and teamwork–all in a Christ-honoring manner. Spirit days are held throughout the season so all students can encourage and show support for CCS teams. Practices are held after school with volunteer coaches. Games are played in various gymnasiums in Fort Dodge and area communities within a 2 hour drive. Student athletes must meet academic standards to be eligible for practice and play, and be cleared with a sports physical. CCS also provides and encourages participation with the public middle school of Fort Dodge for sports not offered through CCS and for athletes seeking a more competitive experience. 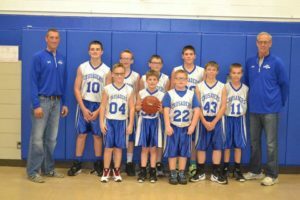 Students may play basketball for both CCS and Fort Dodge middle school teams, but not simultaneously. The CCS athletics programs are governed by a volunteer athletics committee and director. The sports season ends with an awards banquet recognizing and celebrating every CCS athlete.